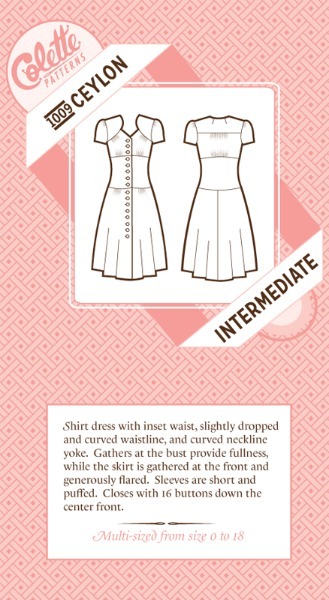 Shirt dress with inset waist, slightly dropped and curved waistline, and curved neckline yoke. Gathers at the bust provide fullness, while the skirt is gathered at the front and generously flared. Sleeves are short and puffed. Closes with 16 buttons down the center front. These gorgeous paper patterns styled in vintage cardboard packaging even just look great adorning your sewing room!